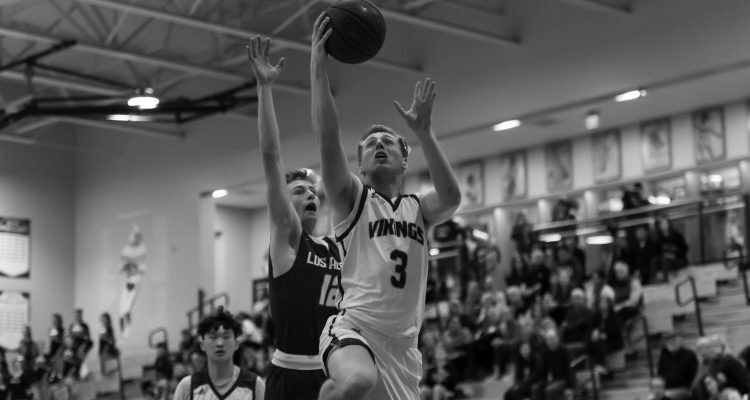 After a number of matches that have come down to the last quarter, the boys basketball team finds itself in a tight situation at the final stretch of the season. 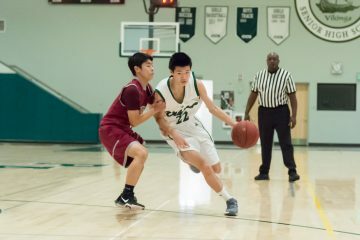 According to senior Josh Wong, there are a number of things the team can improve on before the Central Coast Section (CCS) tournament, and there is limited time left before the tournament will be facing them head on. It’s easy to get caught in the rhythm of games and practices during the hectic high school season, but the team needs to make sure they make every moment count. The team has four remaining league games in the regular season: Los Gatos High School, Mountain View High School, Los Altos High School and Gunn High School, all crucial games that will determine their seed. In the past, the team, led by coach Peter Diepenbrock, has done exceedingly well, and expectations for the group’s success are high. Basketball, next to football, has one of the largest Viking fanbases; the stands are typically bursting with student spectators. As of Jan. 25, the boys had a 10-10 record, with a league record of 4-4, which shows that the competition in the league is relatively even this year, and that other teams have certainly stepped up to the challenge. On solely its home court, the basketball squad has a 4-2 record. Although a bracket for the CCS tournament has not yet been established, the boys are aware that their competition will be tough. Their league competitors have kept them challenged, and they know there are stronger teams in store. According to junior guard Matthew Marzano, there are still a few things the team can work on before the postseason begins. According to Marzano, improvement can also be made simply trying harder and putting in a stronger effort.